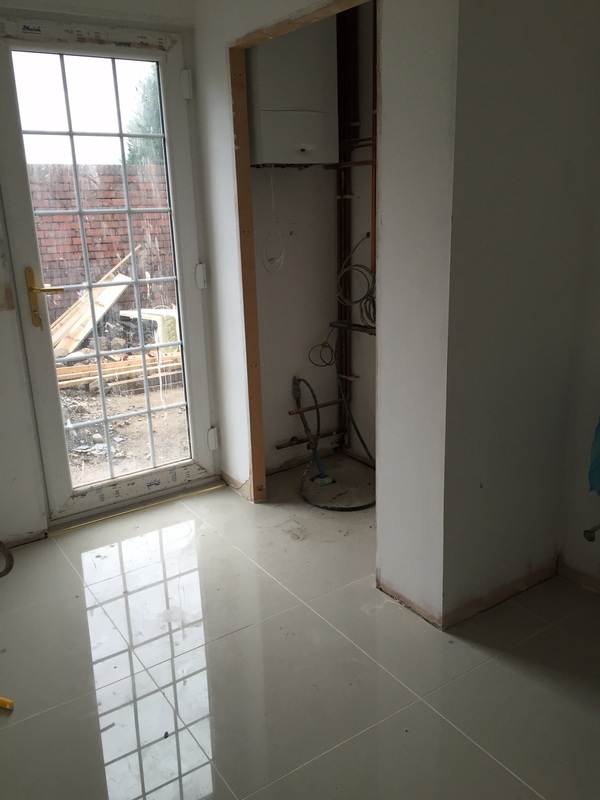 And here’s the finished kitchen and utility floors. Looking rather swish I think you’ll agree!? Now that the kitchen and utility floors are finished, Dan spent some time over the weekend sanding the cornicing in the kitchen. He’s going to finish the utility during the week and then he’ll prime the cornicing ready for painting. Once he’s finished painting, I’ll get started with painting the walls. The downstairs shower room has been grouted too. 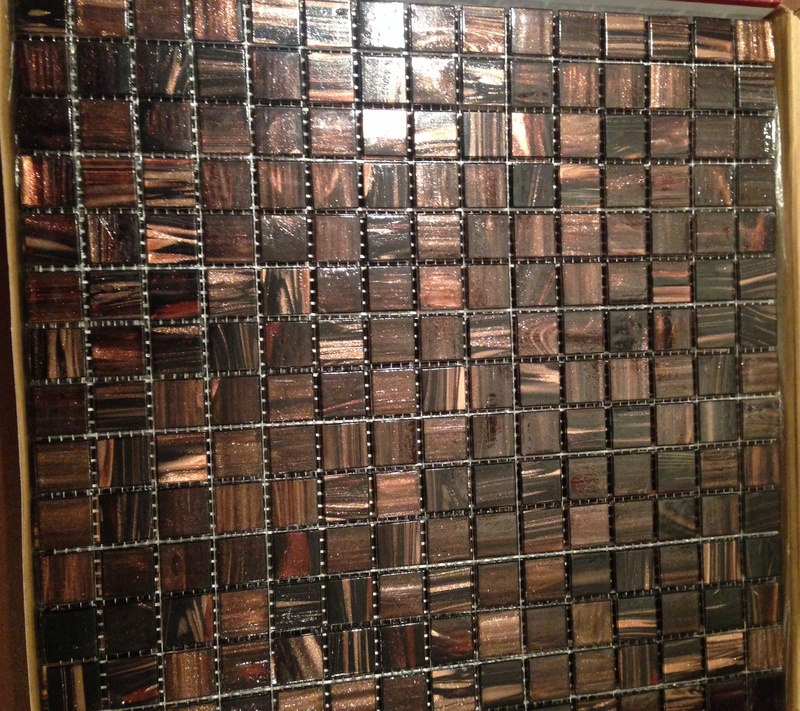 You’ll notice we’ve gone with a brown grout for the mosaics. I’m really pleased with how it’s turned out – just like I imagined. 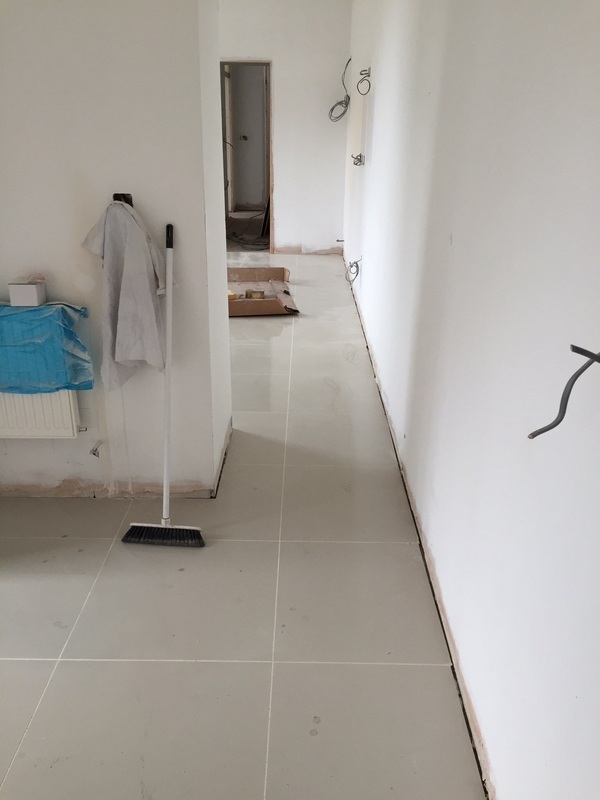 The tiler has also started the bathroom upstairs, which could well be finished by the end of the week. I’ll keep you posted! This is just a super quick post, last one for 2014 – where has the year gone? As usual I’m very unorganised and I need to start wrapping presents pronto, but I just had to share! 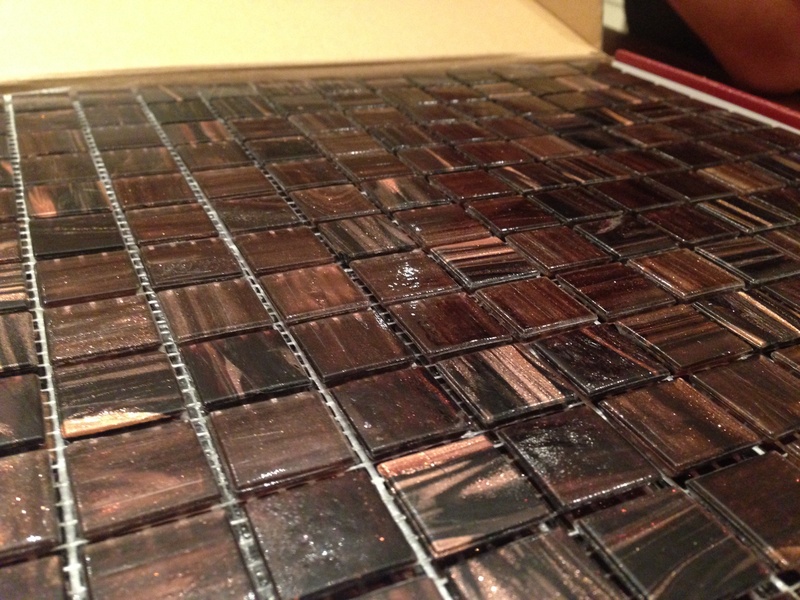 Dan has been to collect the two lots of mosaics that will be adorning the walls of our shower room and bathroom. I am so flipping excited I could scream!! 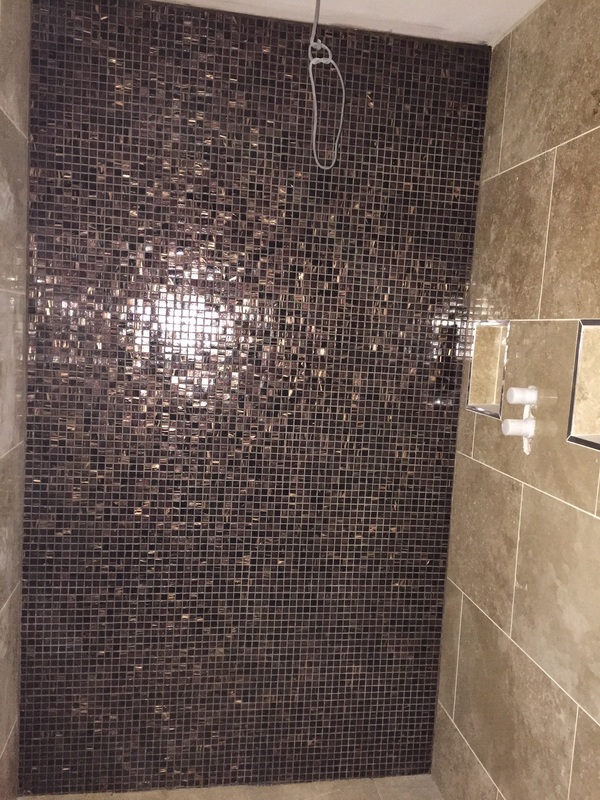 The wine coloured mosaics will be covering the back wall of the shower in the downstairs shower room. 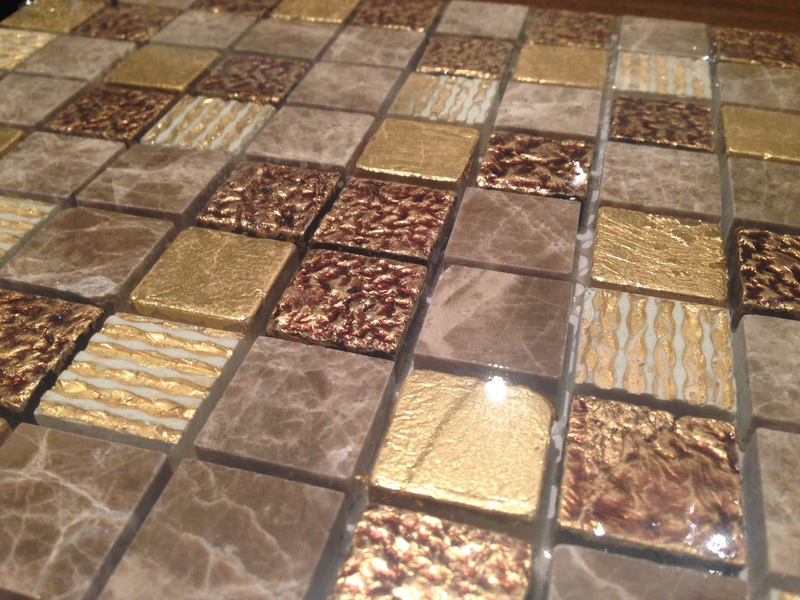 The stone and gold mosaics will be used in the wall boxes and as a border in the upstairs bathroom. Feast your eyes on these beauties…. 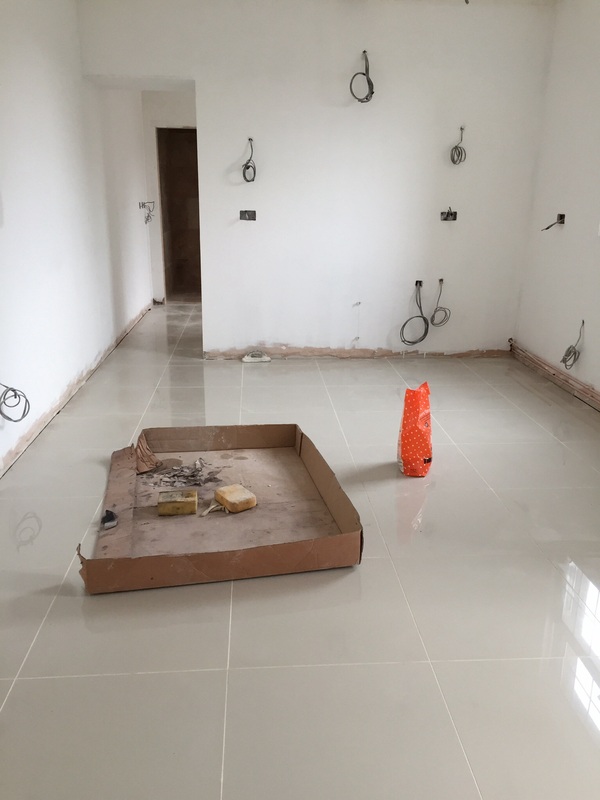 I am delighted with the tiles we’ve chosen, which won’t be in their boxes for much longer as the tiler is starting in the New Year! 2015 is going to be a very busy year for us in Number 18 and I’m raring to go! That’s after having a nice relaxing break over Christmas of course. I’m thoroughly looking forward to starting the day tomorrow with our family tradition of eggs royale, courtesy of my lovely sister, washed down with a glass of prosecco or two! I hope all of my readers have a very merry Christmas.